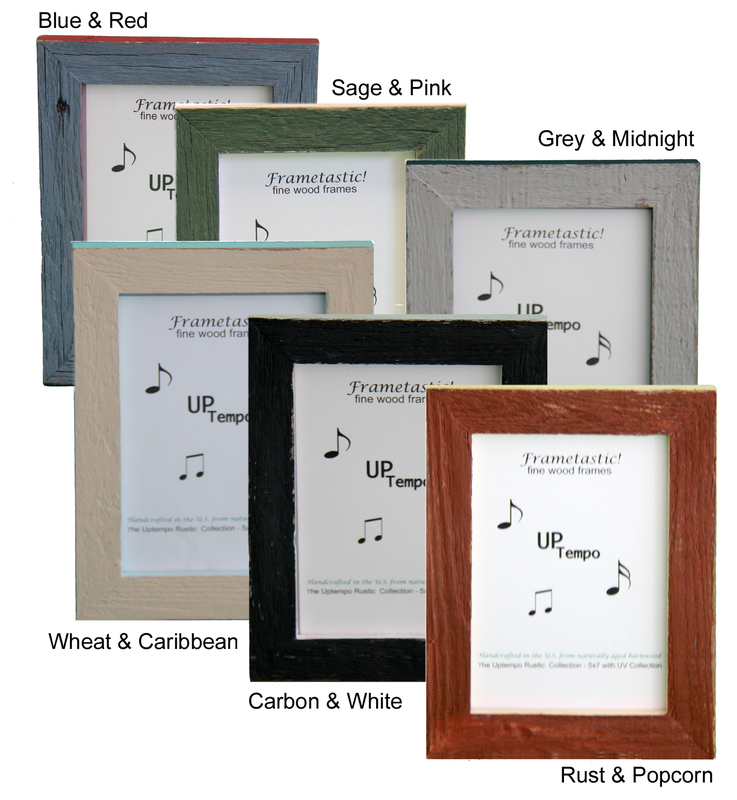 UpTempo – These barnwood photo frames with UV protective glass are handcrafted from 1 ” reclaimed barnwood. Each two-tone frame comes with UV protective glass, easel back, tissue wrapping, and gift box. Available in 4×6, 5×7, and 8×10 formats. The narrow profile and complementary color combinations… Blue and Red, Sage and Pink, Grey and Midnight, Wheat and Caribbean, Carbon and White, Rust and Popcorn… make these frames pop! Upbeat and earthy, we call these frames UpTempo.